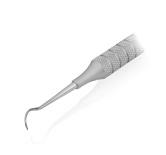 The market leader in dental rotary instruments, Brasseler USA offers CAD/CAM milling and grinding instruments for the most popular laboratory milling machines. 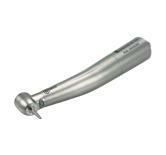 Brasseler USA CAD/CAM milling instruments ensure optimum performance and consistency for the highest precision milling on a wide variety of dental materials (including zirconia, lithium disilicate, hybrid ceramics, PMMA, PEEK, titanium, wax, chrome cobalt and dental stone). Satisfaction Guaranteed.